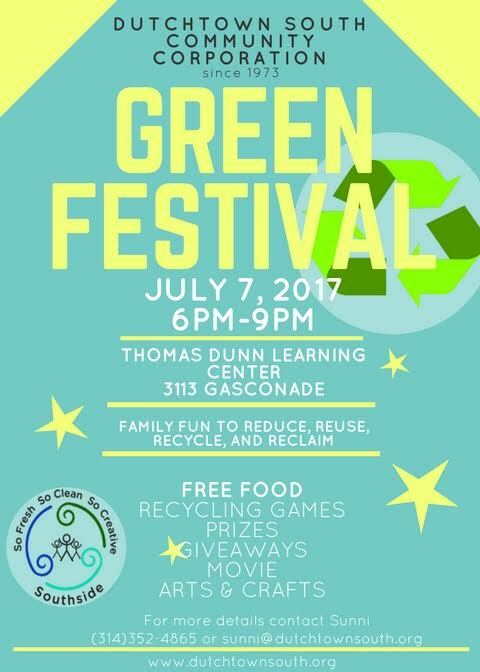 Join the Dutchtown South Community Corporation for an evening of fun, food, and education on Friday, July 7th at the Thomas Dunn Learning Center. Learn how to reduce, reuse, recycle, and reclaim waste as part of DSCC’s So Fresh, So Clean, So Creative Southside initiative. The event is free and open to all and takes place from 6:00—9:00 on Friday, July 7th. For more details contact Sunni at 314-352-4865 or sunni@dutchtownsouth.org. Read more news about So Fresh So Clean So Creative.